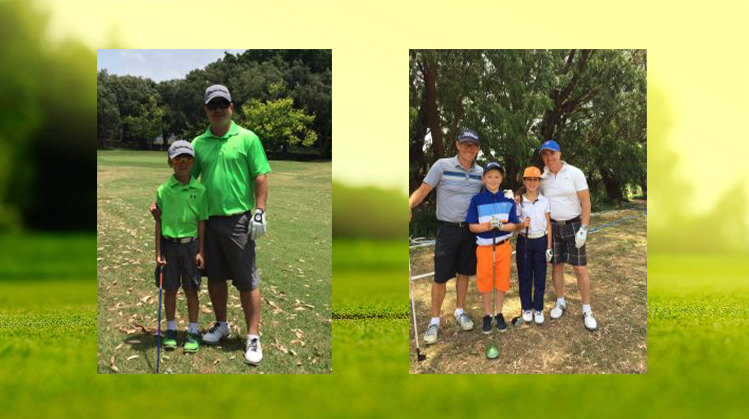 Parent – Kid Tournaments are a great opportunity for Mums, Dads, Grandparents, Aunts, Uncles or special friends to get out on the golf course with the kids to play in a fun 9 Hole Best Ball format. Medals awarded for the first 2 place getters in each age division. Entries Close On Thursday prior to the event before at 12.00pm. There are no late entries. Note: Age category is determined by the child’s’ age as of the day of the Tournament. Players under the age of 5 are not eligible. The Parent -Kid Golf Tournament is held rain, hail or shine. Only lightning or an “Act of God” will postpone or cancel the tournament. Entry Fee is not refundable if the player withdraws after 5pm on the 26th Novemeber 2017. All Players, Caddies and Associates play or attend this tournament at their own risk.